Rev. Okman (Timothy) Ki, and his wife (Myungshik Kim) came to the IBPFM, appointment in 1995, and first served at BCEA in Nairobi, Kenya. The Lord called them two years later to Adelaide, Australia to lead Hope Bible Presbyterian Church. With the growth and development of Hope Church, Rev. 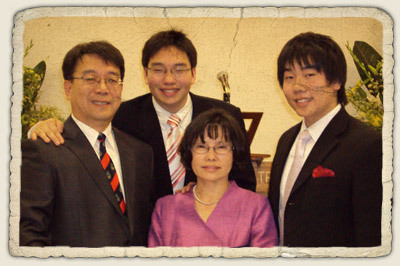 and Mrs. Ki took the call to London to serve at the New Life Bible Presbyterian Church in 2009, where they remain today. In the fall of 2013, the Lord closed the door in London, leading Rev. and Mrs. Ki back to Australia and the Hope Church.